Congrats! You’re going to be a grandparent. New babies are fun for the entire family, but especially grandparents. And do you know what’s almost as gratifying as becoming a grandparent? Getting to spoil the new little one with baby’s first gifts from his grandparents. But first grandchild gifts can be tricky. You have to find a balance between what you want to give, what his parents want and what the baby actually needs/can use. So if you’re ready to spoil your soon-to-be grandbaby but don’t know what makes an ideal gift, considering how many options are available these days, I’ve got you covered. Here are some first grandchild gift ideas that will make the receivers and givers happy. When you give a homemade gift made with love, it instantly becomes a family heirloom. 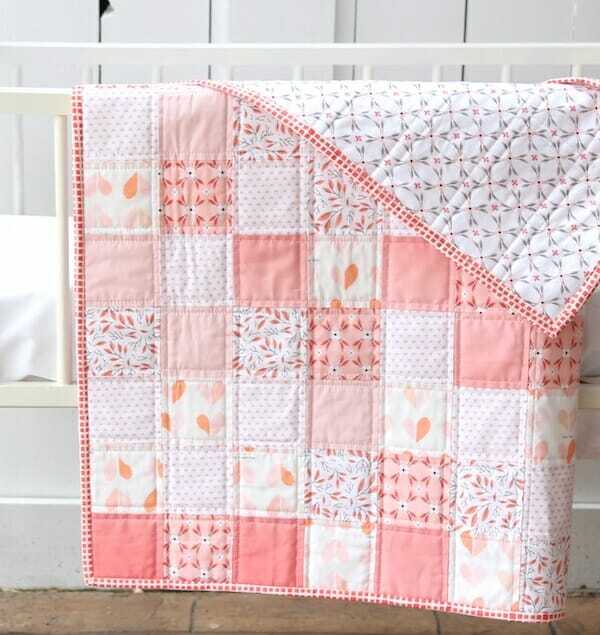 If you can sew or knit, make a baby blanket or quilt. Store-bought blankets have nothing on ones made by grandma, and it’s something she can use later on when she goes to college or in her own home when she starts her own family. 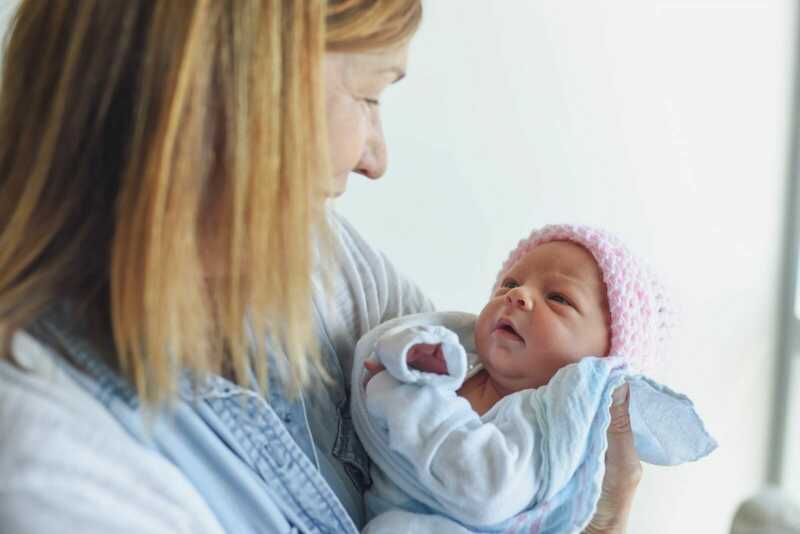 A scrapbook or memory jar complete with keepsakes from the day she was born, first doctor’s visit, baby shower, etc., are two other homemade grandparent gift ideas for a new baby. 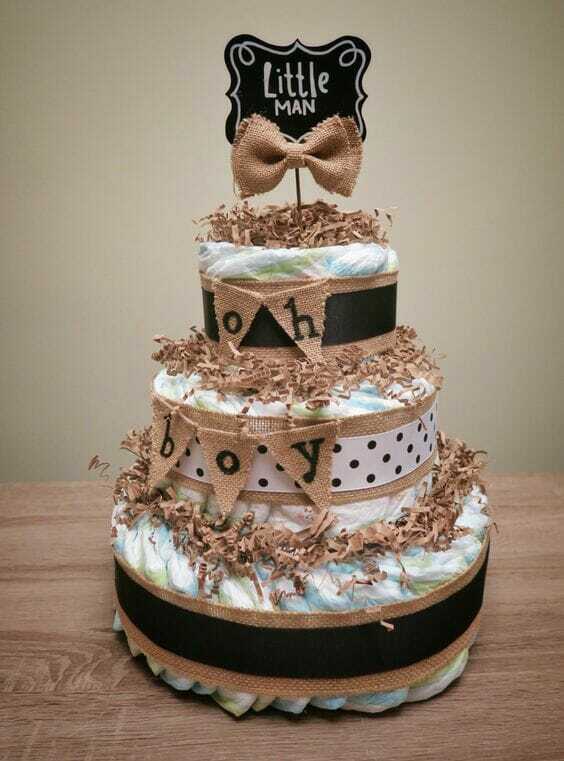 Collectible items may not appeal to a newborn, but it’s a fun tradition to start when he’s born. That way, you know exactly what you’re going to give him each year for his birthday. Collectibles range from small cars and trains to action figures and sports memorabilia. Choose something you and your grandchild will enjoy talking about and/or playing with for years to come. If there’s one thing you can count on, it’s that your phone and/or camera, as well as the parents’ phones and camera, are going to quickly fill up with pictures of the baby. Every new family wants a professional newborn photo session, but some don’t want to pay for one. 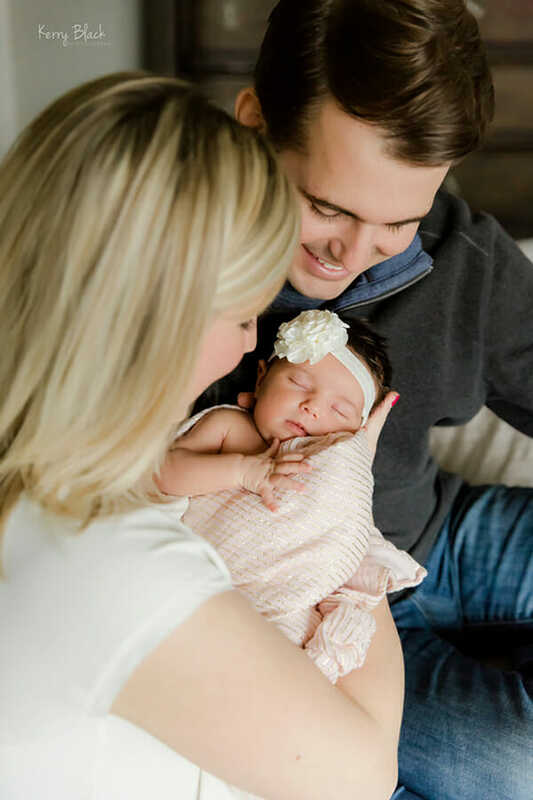 So if you feel like splurging and want to create memories for them and you forever, buy a photo session for the new family with a local newborn photographer. It’s never too early to start reading to your grandkids. Reading is good for babies. Reading aloud to children has numerous benefits, including expanding their vocabulary, leading to better literacy skills, introducing emotion and strengthening the grandparent-child bond as you read to them. Buy a few of your favorite childhood books, ones you read to your kids, as well as grandma and grandpa themed books to give their library a good start. Recurring book clubs are a great idea too. 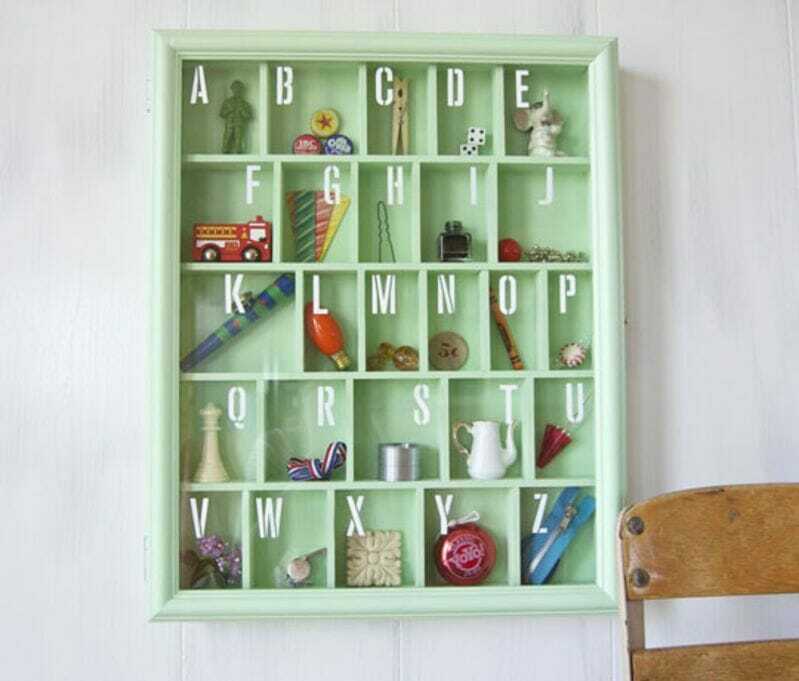 Another way to benefit your grandchild’s cognitive development at a young age is with a cute, handmade alphabet shadow box. Make it sentimental to both your grandbaby and her parents by filling it with mom and dad’s favorite childhood items. There’s no better time to pass on a childhood keepsake from your child who is now a parent than when his or her first baby is born. Maybe you saved a baby outfit or hospital band and birth announcement that you could frame and gift to them to display in the nursery. A baby carrier is a lifesaver for new parents. It allows them to be hands-free and go about their normal tasks while still holding and bonding with their baby. It could also come in handy for you when you take your grandbaby on outings. 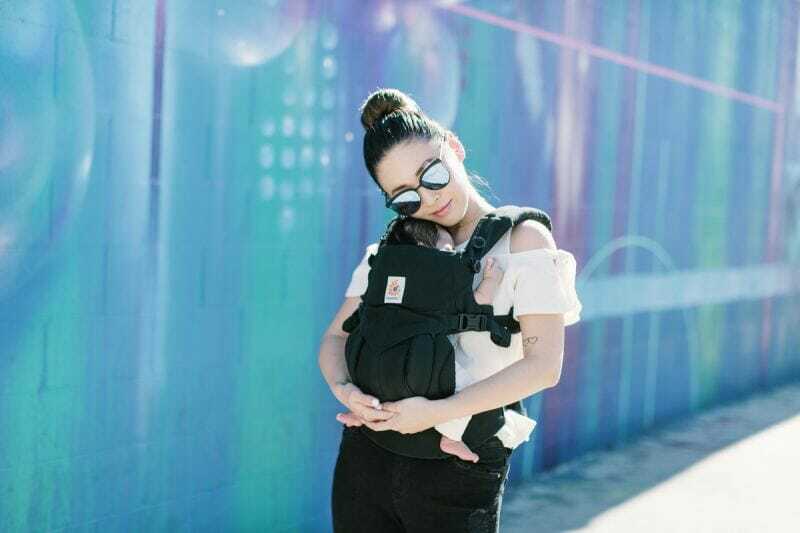 Babywearing in a baby carrier is an easy to way to calm a crying baby, and it gives you the freedom to socialize while keeping your grandbaby close and allowing him to see the animals at the zoo or kids at the park when you go on a walk as he gets older and can face forward in his carrier. There’s no time like the present to start saving money for your grandchild’s education. Education is expensive, so starting an education fund that you can regularly add to from birth until she turns 18 is a smart and thoughtful baby’s first gift from grandparents. One route that many grandparents go is setting up a 529 college savings plan that can be used for tuition, books and other education expenses. Grand first grandchild gifts from the grandparents are well accepted and appreciated. 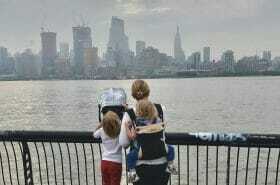 And maybe none more so than a nice stroller. 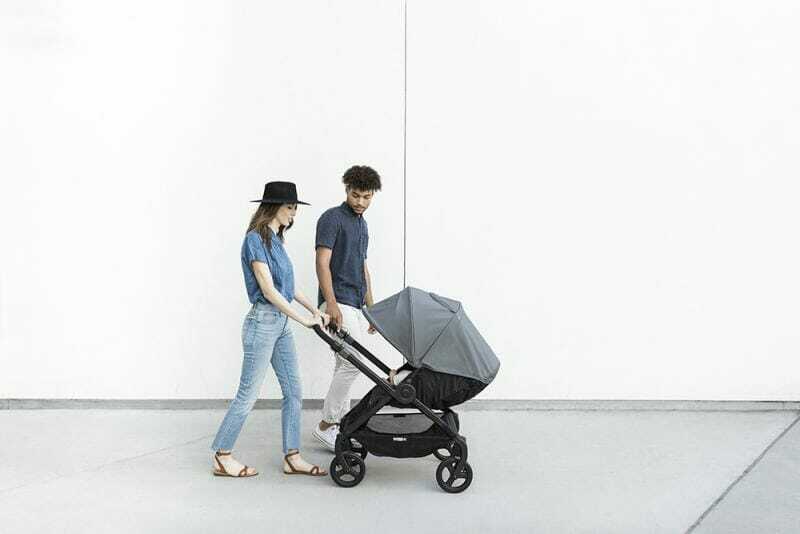 It makes doctor’s visits, walks, errands and traveling easier and more enjoyable for parents and the baby. Plus, a quality stroller will last through this grandchild and the next one or two, so really it’s the gift that keeps on giving. Baby essentials can quickly add up. So rather than making sleep-deprived parents run to the store at midnight when the baby’s first fever or diaper rash hits, give them a basket filled with baby care essentials. Include things like diaper rash cream, a booger sucker, gas drops, baby Ibuprofen or Tylenol and tiny nail clippers with a light (this one is very handy). Yes, parents really do want diapers. Diapers are needed and expensive. Diapers aren’t a glamorous gift by any means, but they’re a necessary gift and oftentimes get overlooked by gift-givers because they’re not “fun” to give. Buy packages of different sizes that range from newborn up to size four so the parents are set when your grandbaby is ready to move up a size. And if you’re feeling really crafty, make a diaper cake and have the different tiers made up of the different diaper sizes you’re giving. You may not have done well in your college science classes or ever thought about being a nurse, but you don’t need a degree to be your grandbaby’s night nurse. So if you don’t work or have some time off at work to use up, help out at nights during the baby’s first few weeks of life. You may be a little sleep-deprived by the end of your time as a baby night nurse, but you’ll also get some cherished one-on-one time with your new grandbaby; not to mention the parents will love you even more for letting them get some much-needed sleep. Gift cards: It may seem impersonal to you, but new parents these days love gift cards (as long as they’re to a store they’ve registered to or frequent). 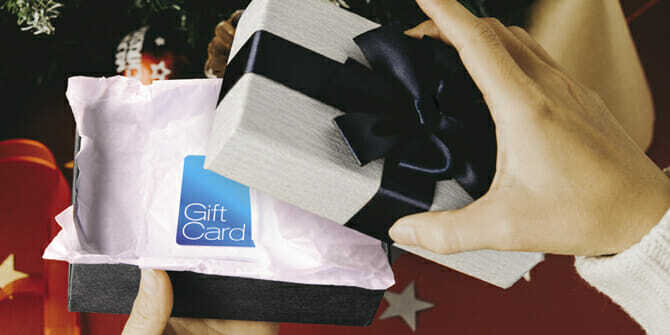 The parents can buy what baby needs, as well as what they need, like groceries, depending on where the gift cards are to. Stocked fridge: As you know first-hand, no new mom or dad wants to have to cook three meals every day those first couple weeks. They’re too tired to cook. Take one thing off their plate by filling their fridge and freeze with already prepared, easy to warm up meals to fill their dinner plates with. Cleaning service: You know what else new parents don’t want to do? Clean their entire house. But at the same time, they want it clean because they have a new baby and people will be coming over to see her. So pay for a cleaning service to come clean their home, or you can save yourself the money and clean their house yourself. Few things will bring you more joy than getting to buy presents for your grandchildren. But keep in mind that you are setting a gift-giving precedent with your first grandchild gifts, so whatever you make or buy, be prepared to do the same or something similar for your future grandkids since their parents will likely expect to receive similar grandchild gifts. 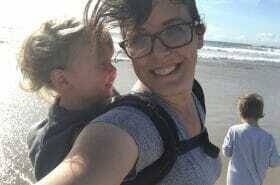 Kirsten Metcalf is a writer, editor and mother to a hilarious but very strong-willed toddler and a beautiful baby girl. She started writing short stories in elementary school and years later became a sports reporter and editor. Now, she mainly writes marketing, religious and parenting-related blog posts. Even before she knew she wanted to be a writer, Kirsten knew she wanted to be a mom. She knows being a mom is one of the most rewarding but hardest jobs out there, which is why she loves being able to share parenting knowledge and support to other moms through her writing. When she actually wins negotiations with her toddler, Kirsten likes to reward herself by watching KU basketball, eating cheesecake, or going on a Target run by herself.